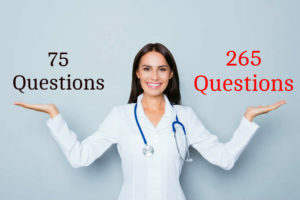 The information provided in this site is intended to educate the reader about the NCLEX Examination Process. The lectures and questions posted here were taken from various sources. Care has been taken to confirm the accuracy of the information presented. Nevertheless, it is difficult to ensure that all the information presented is entirely accurate for all circumstances, and the author cannot accept any responsibility for any error or omission. NCLEXReviewers.com makes no warranty, expressed or implied, with respect to this work, and disclaims any liability, loss, or damage as a consequence, directly or indirectly, of the use and application of any of the contents of this work. NCLEX is a registered trademark of the National Council of State Boards of Nursing, Inc. (NCSBN). NCSBN is not affiliated with this site.